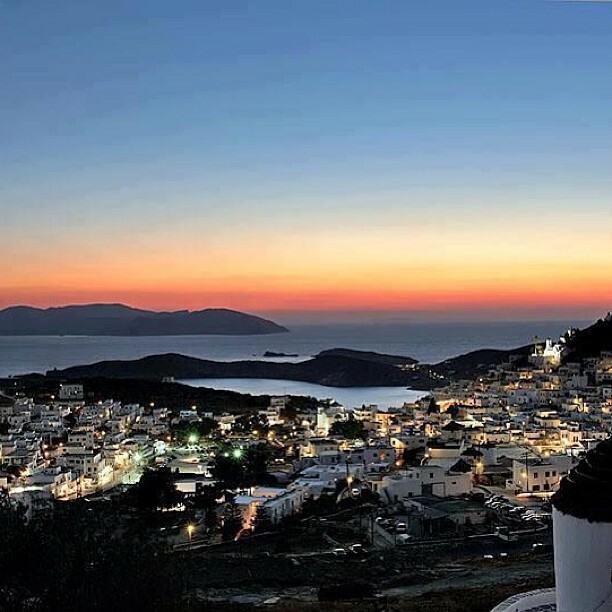 White and Blue Blog for a True Greece Experience: A dreamy Ios sunset! When that famous Greek sun sets and the air begins to cool a little, the island of Ios starts to come to life. People begin to make their way to the town, passing cafés, bars and clubs on. The soft breeze will awaken your senses and colours appear brighter and more vivid as the sun drops below the horizon. You’ll see orange, yellow, purple and pink hues, creating a unique atmosphere as the Ios sun goes down.